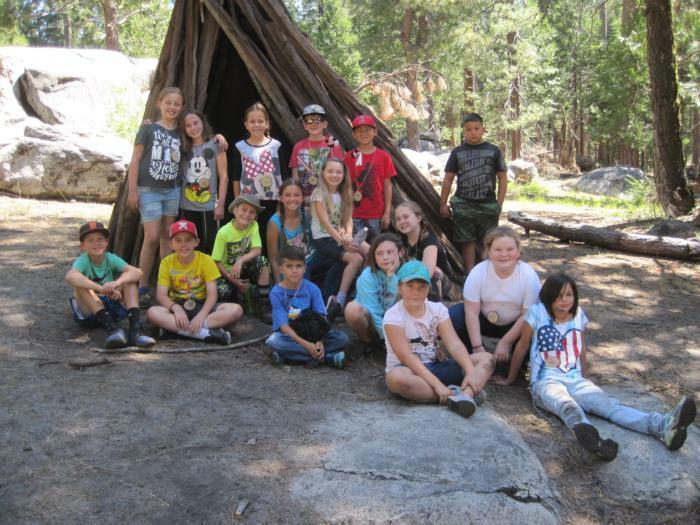 Camper Registration- 2019 : Campers are 9 as of January 1st to 13 years old. Applications for campers are due May 1, 2019. Adult Volunteers: Contact the Local 4-H Club Leader or the 4-H Office at 385-7418. 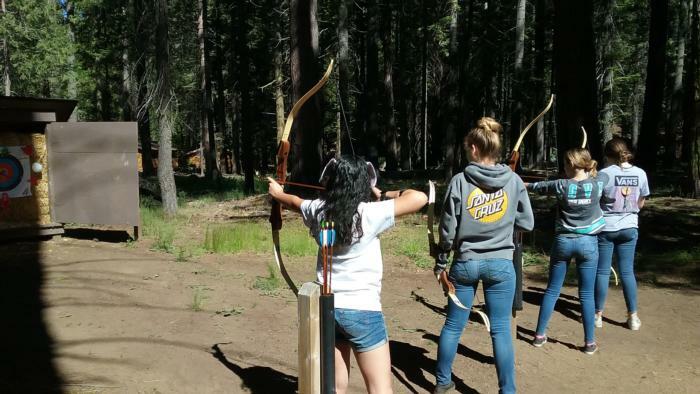 Campers: includes 5 days and 4 nights, meals and lodging, activities and fun. Transportation to and from camp NOT included. Elevation: Camp Sylvester is set on the western slope of the Sierra Nevada Mountains at an elevation of ~5,000 feet. Buildings: Enclosed cabins, volleyball court, recreation building, showers, campfire area, and more. 1926 - Two Ag Club encampments were held at Wawona, one for boys, and one for girls. (It appears this was the first annual camp). The State (4-H) Leader, County School Nurse and Home Demonstration Agent were present at camp. Ray Hume of Dos Palos was camp director. 1927 - 1928 - Annual Club Camp in Yosemite Valley. The Home Department ladies were cooks and meals were served "army style". 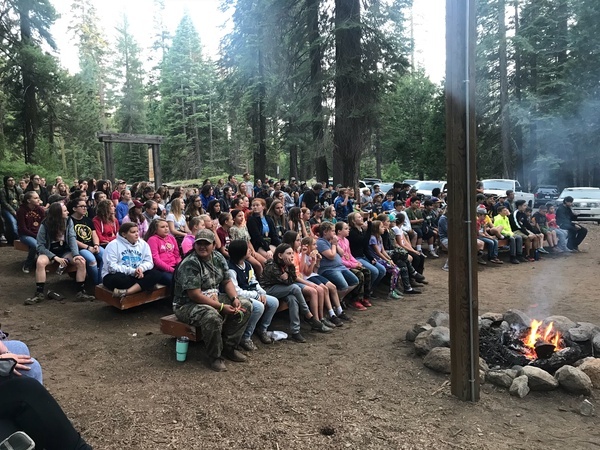 Excellent cooperation was received from Yosemite Park Service and one feature was that of campfire talks by rangers and nature study hikes by guides. Fee for camp was $3.50 per member. 1929 - Summer Camp was held at Pinecrest (Camp Sylvester was started about this time). The camp session was somewhat disturbed by the weather (rain) and they had to seek shelter in a nearby barn. 1930 - 1955 - 4-H camp was held at Camp No. 9 in Yosemite Valley (except in 1934 and 1948 due to concerns over polio). 1956 - 1962 - Camp Sylvester was selected as the new camp site as Yosemite no longer allowed group camping. Camp fee was $7.50. Jerry Lundell was hired as camp director for $150.00. 1963 - 1967 - A five-year contract was signed to move 4-H Camp to Camp Green Meadows at Fish Camp. Cooking equipment from 4-H used as part of camp start up. Farm Advisors help build a cabin as part of effort for Camp Green Meadows. 1968 - 2007 - Use of Camp Green Meadows became too expensive and 4-H camp was moved back to Camp Sylvester. 2008 - Due to damaged building and uncertain availability of Camp Sylvester a new site, Camp Pacifica, was selected for the 2008 4-H Camp. Because of fire and smoke hazards around Camp Pacifica, a last minute change was made to move camp to the safety of Camp Sylvester. 2009 - Present - Camp Sylvester was chosen again with a new dining facility built to accommodate meal dining.